Tom has specialized in Long-Term Care insurance for 18 years. He has seen LTC policies evolve from Nursing Home Plans, with little or no Home Care, to fully comprehensive plans, now starting with informal Home Care coverage. Terri and Tom have been married for 21 years. 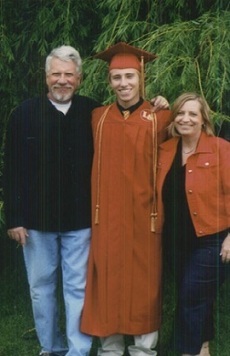 They are extremely proud of their son, Joshua, who is in his second year at Iowa State. Tom has enjoyed many canoe trips to the pristine and remote Boundary Waters Canoe Area in northern Minnesota. Terri and Tom both enjoy fishing, biking, hiking, and photography. Tom has volunteered at the Hennepin District Court counseling in family crisis and domestic abuse. He also volunteered on his son’s soccer teams through the years. The senior population is exploding at a rapid pace- How will the funding continue for Medicare and Social Security? What about Medicaid (Public Assistance)? As we move forward Long-Term Care insurance has become a wise solution for this pressing issue.